My intrigue with classical and Christian education began just over 25 years ago. Convinced that the modern approach to education was a failed experiment, I had started looking for a different answer when I stumbled across Recovering the Lost Tools of Learning. The argument in the book to use an ancient tool called the Trivium (Grammar, Logic, and Rhetoric) to force the curriculum to follow the development of a child made immediate sense. It seemed practical and doable. Thus, like others, I was drawn into the insane adventure of starting a school. As I look back, I think about how gracious God was. I would be the first to admit that I was learning more about leading than I was actually leading others to learn. Like most of the early members of the movement, I lacked educational experience, business experience, and even life experience. If it had not been for the patience and persistence of the families at Augustine, Regents, and Westminster, little would have been accomplished. As hard as it was for the pioneer families of classical and Christian education, God used them to build schools with strong communities, well-developed traditions, and financial stability. This is why I am optimistic about the future of the classical and Christian education movement. We now have seasoned boards and veteran leadership. We have finally reached the stage where graduates from our fledgling schools are returning to help push us forward. We have reached the stage where our classrooms are attracting skilled teachers. We have schools like Cary Christian School. The classical and Christian education movement of the last thirty years has offered an incredible service to the kingdom. The movement has equipped thousands of graduates with knowledge that was being dismissed by modern educators and with skills that were being ignored. Over the next thirty years, the classical and Christian movement, driven by the capacity to draw deeply upon past wisdom, will be better equipped to prepare children for the future. The wisdom of Recovering the Lost Tools of Learning was that it offered a simple, practical solution that average parents could offer their children. The generational impact is that once educators started looking outside the current model and started looking at the ancient approach of classical education, we found something more than an opportunity to recover three lost tools of learning. We found out that these tools were three pieces to a much larger path that led to a lost treasure of wisdom and eloquence. Here is my prayer: May God give us the grace to dig deeply into the wisdom of the classical and Christian approach to education so that we can leverage Cary Christian School’s strength to do an even better job of teaching the tools of learning and inculcating wisdom and eloquence. I hope that the realization that we are heading into a period every bit as “dark” as the Middle Ages and every bit as tyrannical as feudal Europe inspires all of us to pray that God would raise up a generation ready and willing to serve Him and His Kingdom. To help you understand what we mean by inculcating wisdom and eloquence, I would like to share with you a portion of the teacher development program we presented to our teachers last Friday. I hope it will help you gain a sense of the “more” that we are pursuing. Using a curriculum driven by a Love of Christ, His Word, and His Kingdom, our teachers develop the Habits of the Mind in a way that develops the Habits of the Soul, so that our students are prepared to Serve Christ and His Kingdom. We order the mind around numbers and letters, in a way that inculcates the habit of crafting a sentence or an equation with clarity and precision, so that graduates can communicate with integrity. We offer a disciplined experience of things, in a way that incites the discovery of symmetry, proportion, and harmony, so that graduates will delight in what is beautiful and ignore what is distasteful. We ingrain the habit of struggling to know things, in a way that creates inquiry for meaning, connections, and causation, so that graduates can separate truth from lies and goodness from evil. As we master the skill of teaching in this manner to these ends, we will improve our ability to impact the lives of our students. Cary Christian School will not only prepare students for any task or to serve at any post, but it will also give each student an opportunity to become a better person. Our school will be a place where wonder gains grit and breeds wisdom to forge an innovative spirit. Our school will do more than remove conflict and pain; we will equip students with the strength and the freedom to persevere. By aiming to develop skills, habits, and affections around the knowledge of God and His Word, we hope to be instruments in the Redeemer’s hands pointing children toward Christ and preparing them to flourish in His Kingdom. 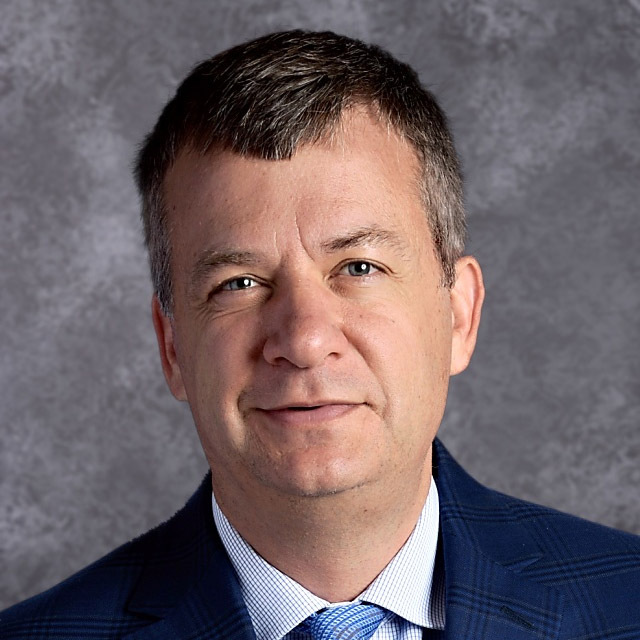 On June 1, 2018, Mr. Robbie Hinton was appointed as the new CCS Headmaster. Mr. Hinton earned a degree in marketing from the University of Tennessee and an M.Div. from Reformed Theological Seminary. His diverse background of leading two classical Christian schools, as well as serving as a campus minister and a church planter, has prepared him to love our students, families, and staff, while helping us achieve our best as a school through strong operational management.